I have just updated to Avada 5.6.2 and was informed to update Fusion Core and Fusion Builder as well. After doing so, the behaviour of my webpage (www.scharbeutzer-schuetzenverein.de) gets very strange and I’m sorry, that i cannot get more systematics in this description. Either I get an “Error establishing a database connection” or the css-files are not used (at least style is not used) or page building works fine. Refreshing the page often leads to another status. The installation of WordPress 4.9.7-de_DE is hosted at the provider 1&1. I have experienced this behaviour at least after the last two updates, but wasn’t sure, if the update itself causes it or if it was a coincidence. But now, as I did not do anything else but the updating, I’m quite sure. Any ideas? Any similar experinces? Going by what you describe here, clearly you are having server related issues and you need to contact your hosting provider and have them check the server logs as to what is going on. There is no way that this “Error establishing a database connection” can be update related, it is simply not possible. 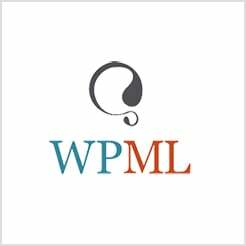 Why it is not possible is because the WordPress core file -> wp-config.php is what contains your connection info from WordPress to the actual MySQL database and when updating your theme, only the theme files are updated. I have the same problem, DE 1&1 provider. At every update that has to do with Avada, the site doesntfunction for a day. Both back and frontend. @npolomski did you find out anything about what could cause this? “same procedure as every year” (https://en.wikipedia.org/wiki/Dinner_for_One). Following that, there is a correlation between the update process and the error message. Cound you check, how many time the update process connects to the database? Is it neccesary to connect that many times? The issue seems to be that after updating fusion core it connects to the database without closing the processes again and again. 1&1 obviously has a restiction to 18 connections per user, so the database blocks all additional tries. After boths parts are updated, those requests are closed or not started at all. I’m sorry to hear that you’re having issues during update process, but I’m not sure how it can be related to Avada opening database connections. Avada, Fusion Builder and Fusion Core don’t open any new database connections, but use connection which WordPress opens when it loads. Besides being needless to open new connection, since one is already available, that is also strictly forbidden by coding standards which we strictly follow. During update process Avada interacts with the database (to update version number and sometimes to migrate Theme Options to new format), but that is done using WordPress’ update_option function which is used by WordPress itself on any page load. I would advise that you try disabling other (3rd party) plugins before the update process as well. Note that after Avada is updated it will clear caches so depending on your setup it could be that server takes heavy load while cache is rebuilt. Also, you might want to check how many connections are active at the moment. It might be that some other plugin or application on your server is opening connections for some reason.